The Food Centre welcomes donations to help us purchase the extra food we need to serve our clients, and all donations are eligible for a tax receipt. Each year the Food Centre raises almost half of its revenue through donations from individuals, local businesses and foundations. The rest comes from a grant from the City of Ottawa and generous contributions from its parent organization, Centretown Churches Social Action Committee and its member churches. You can donate by sending a cheque, made out to the Centretown Emergency Food Centre, to the Food Centre at 507 Bank, Ottawa, ON K2P 1Z1. You can also donate online, using the Centretown Churches Social Action Committee’s page on the Canada Helps website, and selecting the Food Centre as your designated project. The Food Centre is the main project of the Centretown Churches Social Action Committee, a registered charity. 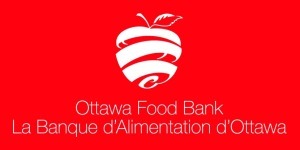 Tax receipts for donations to the Food Centre are issued for contributions of $20 and more.